Forbes had a fun little piece the other day in which they answered a few common questions people had been asking about Obamacare—because healthcare can be confusing! 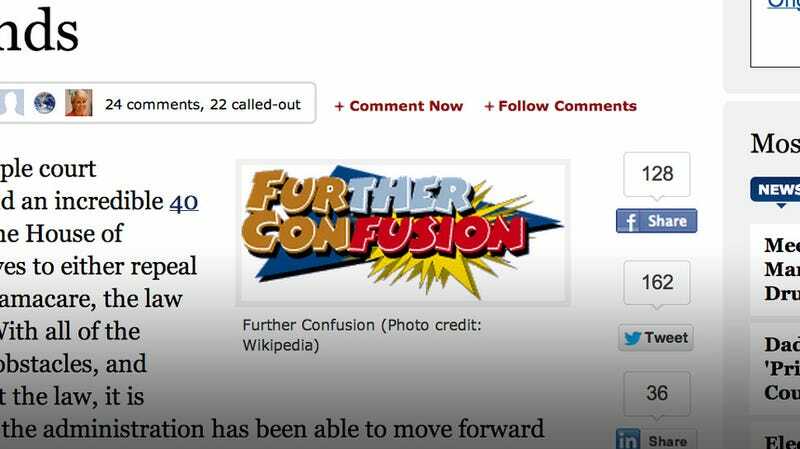 Almost as confusing as, say, pulling the logo of a wildly popular furries convention to use as the accompanying graphic on an article about Obamacare. Which, you know, they did. For the uninitiated, furries are generally classified by their love of anthropomorphic animals and subsequent tendency to dress up like de-robed sports mascots. And while the majority of the furry community finds all this to be good, clean fun, most outsiders are probably more familiar with the "yiff" portion of the fandom. "Yiff," of course, being the term for what happens when two furries love each other very much and decide they want to show that love with notoriously bizarre and raunchy sexytime activities.